Sass is awesome. It allows you to use variables, nested rules, mixins and tonnes of other features that makes writing CSS less tedious and a lot more fun. 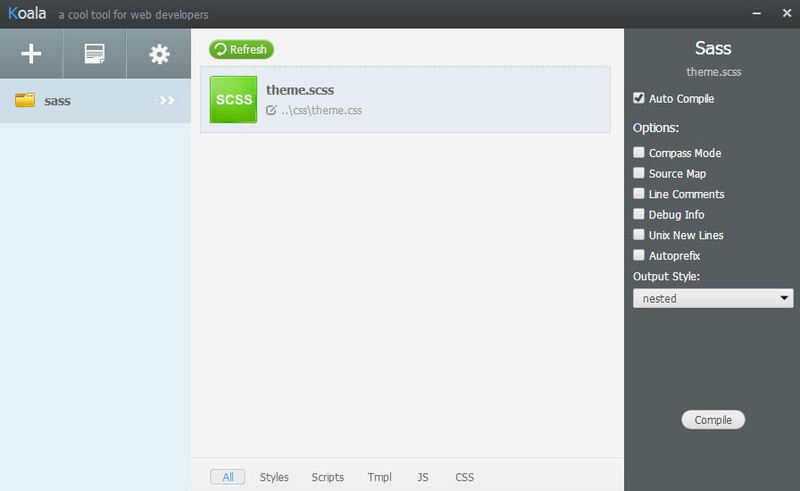 Unfortunately, one thing that Sass does not offer out of the box, is a GUI compiler: And that’s where Koala comes in. Koala is a straight forward GUI application that not only compiles Sass but also Less and CoffeeScript. It’s open source and can run in windows, linux and mac. The first step is to download, install and launch Koala. This is what you should see the first time you launch Koala. 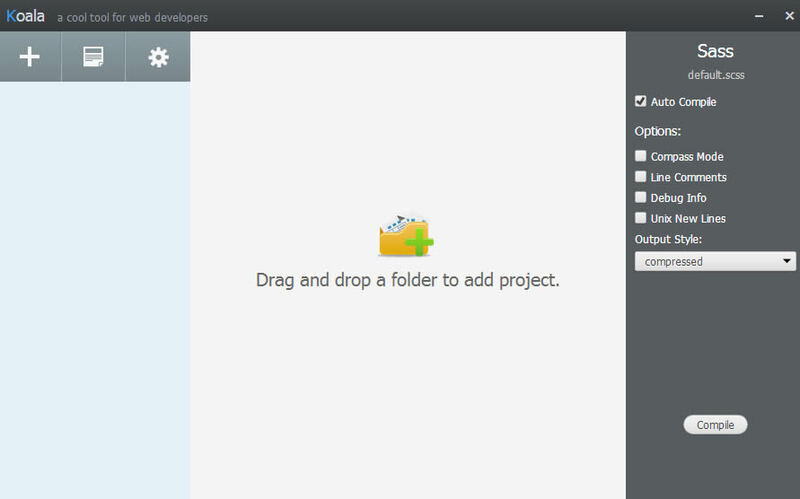 Now all you have to do is locate your Sass project folder, and drag it into the window. Koala will then list every Sass file it can find. Now all you have to do is select any listed Sass file and press compile. Koala will then compile your file and produce a normal CSS file using the same name. Just drag, select and click. There are many other Sass compilers out there, some even more powerful and faster. Unfortunately many of these are either paid or are non GUI based. They are neither straight forward nor user friendly, if you are new to Sass, you should try Koala first then the rest later. But be warned, once you go Koala there is no going back.